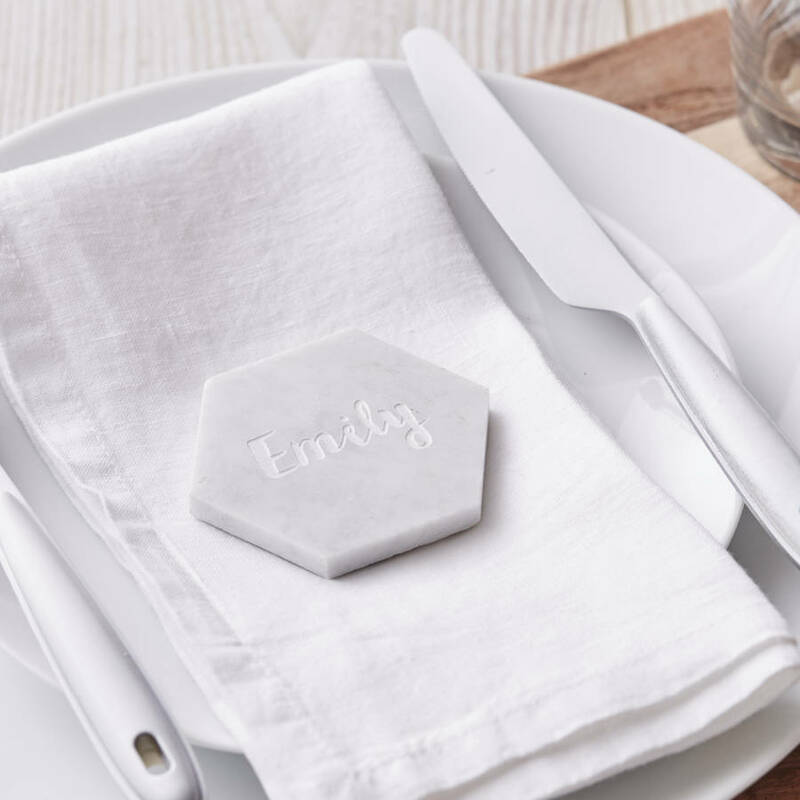 Stunning, high quality personalised marble place settings, a brilliant finishing touch to any table! Double them up as a stylish favours too. 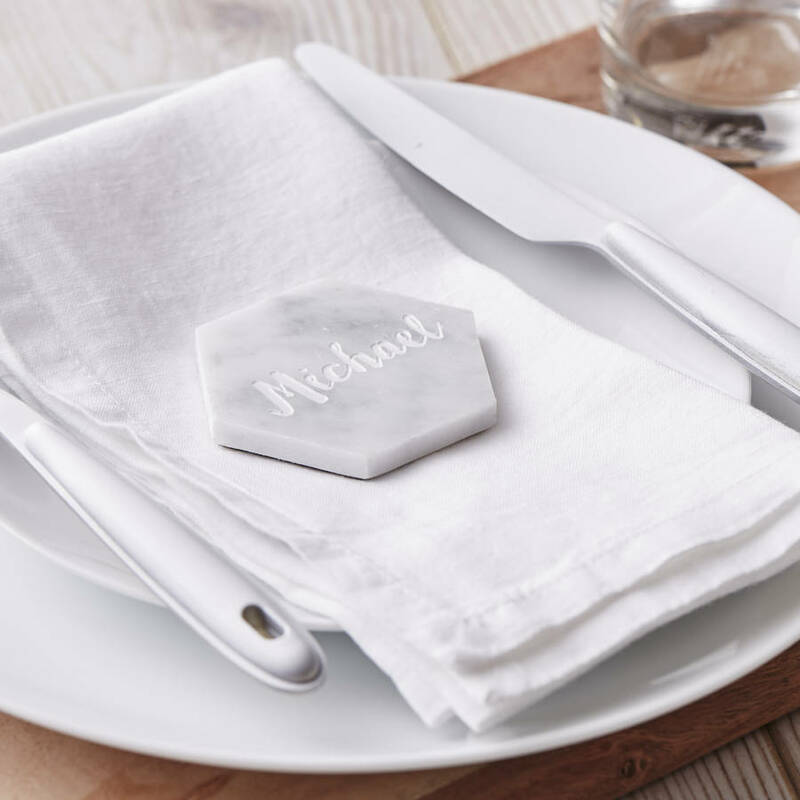 Our personalised marble place settings are beautifully engraved with any personalisation you choose from guest names, favourite sayings or a personal message. 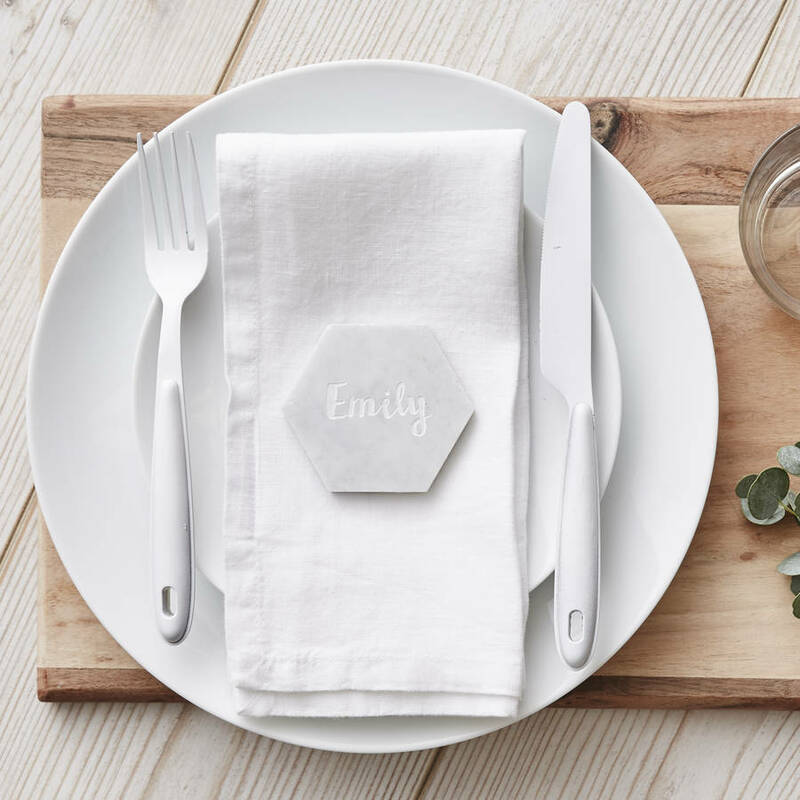 We think these work perfectly as both place settings and favours for your guests! 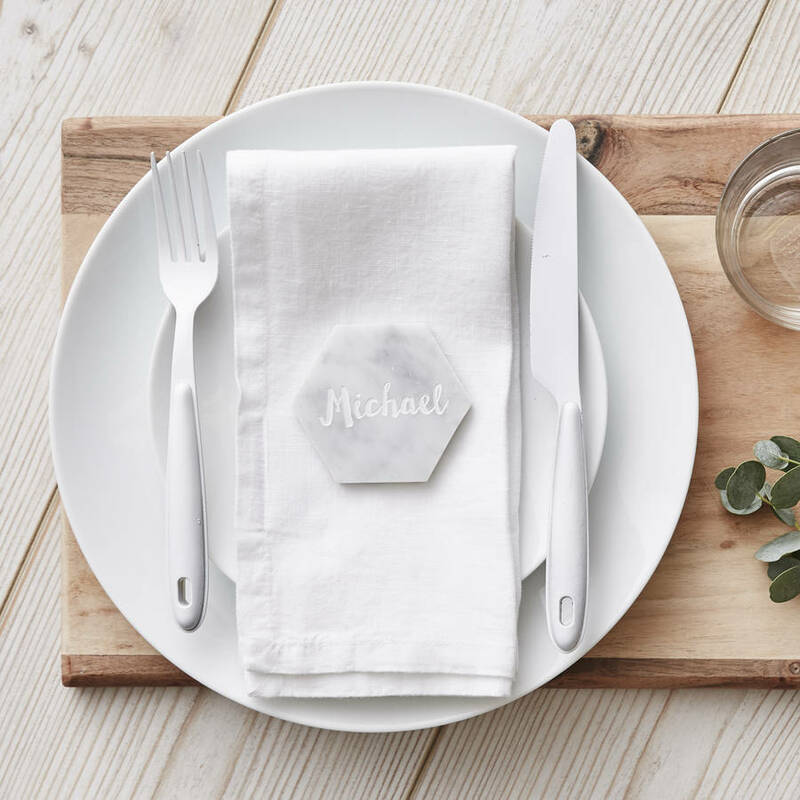 Hand crafted into a hexagon, these place settings are made from high quality Carrara Marble with a cork base. 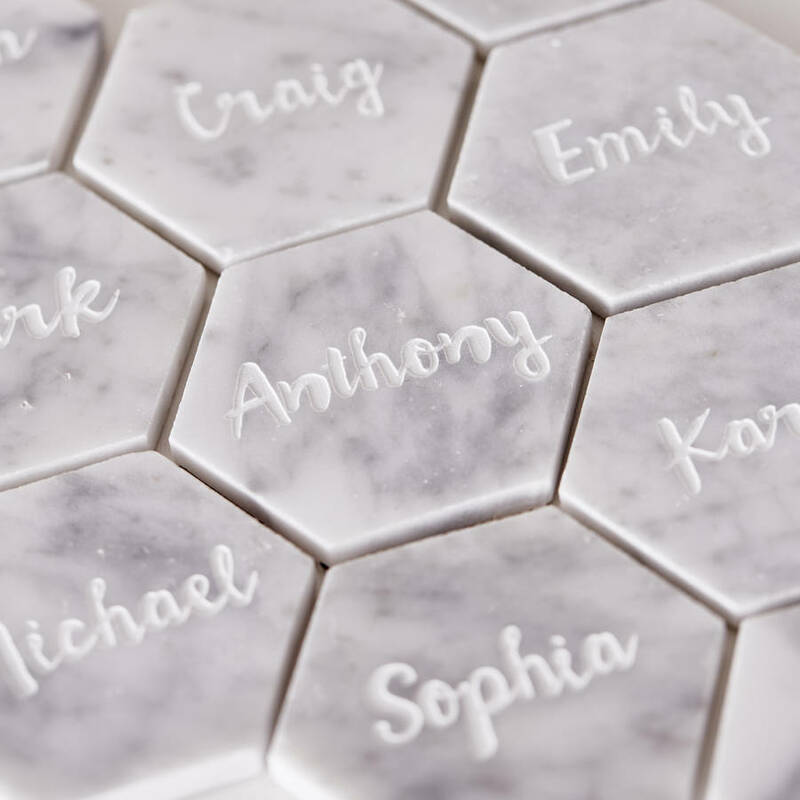 Carrara Marble deeply engraved with your personalisation. 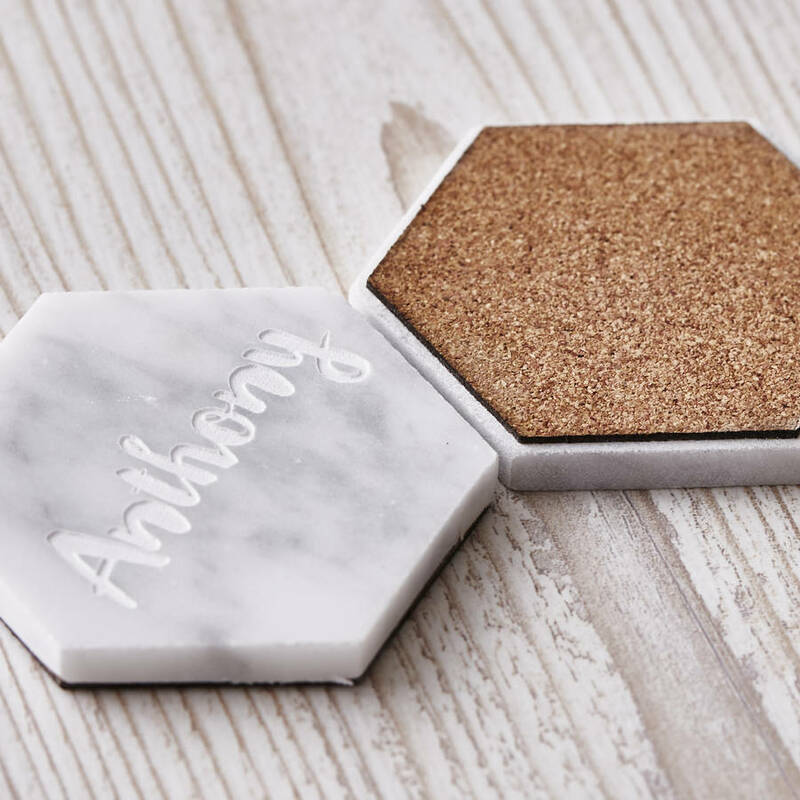 Cork base.